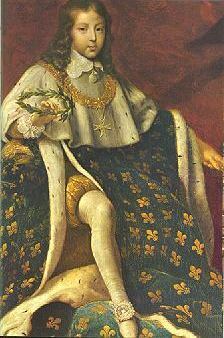 Louis XIV, France's Sun King, had the longest reign in European history (1643-1715). During this time he brought absolute monarchy to its height, established a glittering court at Versailles, and fought most of the other European countries in four wars. The early part of his reign (1643-61), while Louis was young, was dominated by the chief minister Cardinal Mazarin. In the middle period (1661-85) Louis reigned personally and innovatively, but the last years of his personal rule (1685-1715) were beset by problems. 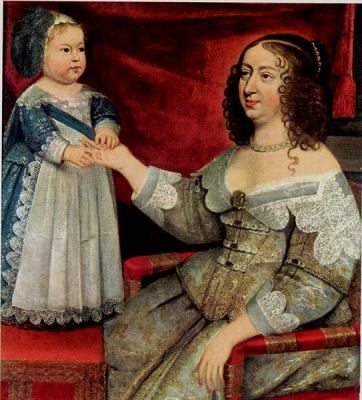 Born on Sept. 5, 1638, Louis was the first, regarded as "god-given," child of the long-married Louis XIII and his Habsburg wife, Anne of Austria. He succeeded his father on the throne at the age of four. However, he was also a neglected child, cared for by servants. Once he almost drowned in a pond because no one was watching him. However, his mother, Anne of Austria who caused the neglect, instilled in him a lasting fear of "crimes committed against God". While his mother was regent the great nobles and the judges of the parlement of Paris launched a major but uncoordinated revolt (the Fronde of 1648-53) in reaction to the centralizing policies of Louis XIII's minister Cardinal Richelieu and his successor, Mazarin. 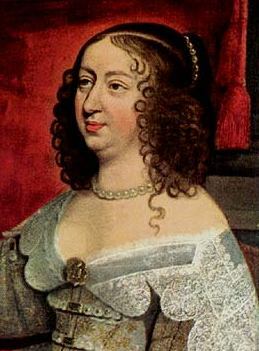 The royal family was twice driven out of Paris, and at one point Louis XIV and Anne were held under virtual arrest in the royal palace in Paris. This civil war brought Louis XIV poverty, misfortune, fear, humiliation, cold and hunger. This shaped his character and he would never forgive either Paris, the nobles, or the common people. Cardinal Mazarin was victorious in 1653 and constructed an extraordinary administration for the kingdom. Mazarin finally suppressed the Fronde and restored internal order. The Peace of Westphalia (1648), which ended the Thirty Years' War, together with the Peace of the Pyrenees (1659), which concluded prolonged warfare with Spain, made France the leading European power. 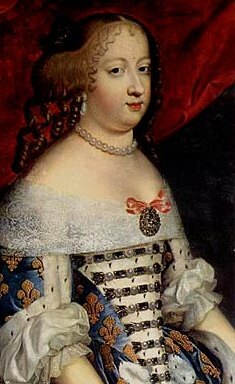 The latter treaty was sealed by Louis XIV's marriage (1660) to Marie Therese (1638-83), the daughter of Philip IV of Spain. 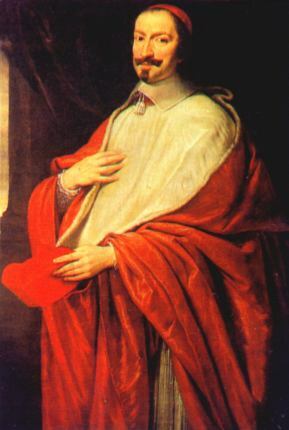 On Mazarin's death in 1661, Louis astounded his court by becoming his own chief minister, thereby ending the long "reign of the cardinal-ministers." A sensational 3-year trial (1661-64) of the powerful and corrupt finance minister Nicolas Fouquet sent the would-be chief minister to prison for life. 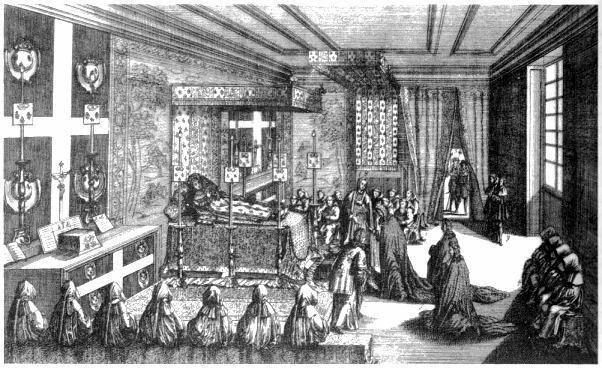 The king thereafter controlled his own government until his death, acting through his high state council (conseil d'en haut) and a few select ministers, whom he called or dismissed at will. The most famous and powerful of the ministers were Jean Baptiste Colbert in internal affairs and the marquis de Louvois in military matters. 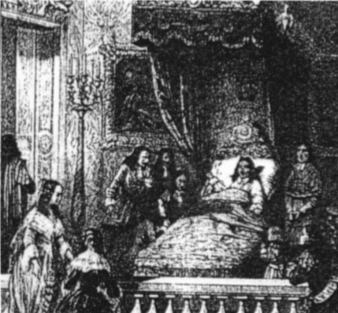 Breaking with tradition, Louis excluded from his council members of his immediate family, great princes, and others of the old military nobility (noblesse d'epee); his reliance on the newer judicial nobility (noblesse de robe) led the duc de Saint-Simon to call this, mistakenly, "the reign of the lowborn bourgeoisie." Local government was increasingly placed under removable intendants. The early personal reign of Louis was highly successful in both internal and foreign affairs. At home the parlements lost their traditional power to obstruct legislation; the judicial structure was reformed by the codes of civil procedure (1667) and criminal procedure (1669), although the overlapping and confusing laws were left untouched. Urban law enforcement was improved by creation (1667) of the office of lieutenant general of police for Paris, later imitated in other towns. Under Colbert commerce, industry, and overseas colonies were developed by state subsidies, tight control over standards of quality, and high protective tariffs. As controller general of finances, Colbert sharply reduced the annual treasury deficit by economies and more equitable, efficient taxation, although tax exemptions for the nobility, clergy, and some members of the bourgeoisie continued. Colbert and the king shared the idea of glorifying the monarch and monarchy through the arts. Louis was a discriminating patron of the great literary and artistic figures of France's classical age, including Jean Baptiste Moliere, Charles Le Brun, Louis Le Vau, Jules Mansart, and Jean Baptiste Lully. His state established or developed in rapid succession academies for painting and sculpture (1663), inscriptions (1663), French artists at Rome (1666), and science (1666), followed by the Paris Observatory (1667) and the academies of architecture (1671) and music (1672). The literary Academie Francaise also came under formal royal control in 1671. Money was lavished on buildings. In Paris the Louvre was essentially completed with the classical colonnade by Claude Perrault. In Versailles, Louis XIII's hunting lodge was transformed into a remarkable palace and park, which were copied by Louis's fellow monarchs across Europe. When the king moved permanently to Versailles in 1682, an elaborate court etiquette was established that had the aristocracy, including former rebel princes, vying to participate in Louis's rising (leve) and retiring (couche). These ceremonies led to the saying that, at a distance, one could tell what was happening at the palace merely by glancing at an almanac and a watch. In foreign affairs, the young Louis XIV launched the War of Devolution (1667-68) against the Spanish Netherlands, claiming that those provinces had "devolved" by succession to his Spanish wife rather than to her half brother Charles II, who had inherited the Spanish crown. The war brought him some valuable frontier towns in Flanders. Louis turned next against the United Provinces of the Netherlands in the third Anglo-Dutch War (1672-78). The intent this time was to take revenge against Dutch intervention in the previous war and to break Dutch trade. By the Peace of Nijmegen (1678-79) he gained more territory in Flanders, and the formerly Spanish Franche-Comte was added to France's eastern frontier, now fortified by the great siege expert, Sebastien Le Prestre de Vauban. Now at the height of his power, the king set up "courts of reunion" to provide legal pretexts for the annexation of a series of towns along the Franco-German border. More blatantly, he seized both the Alsatian city of Strasbourg and Casale, in northern Italy, in 1681. 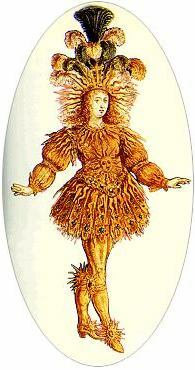 The turning point in Louis's reign between the earlier grandeur and the later disasters came after Colbert's death (1683). 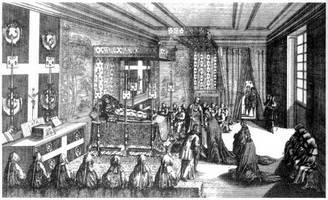 In 1685 the king took the disastrous step of revoking the Protestant (Huguenot) minority's right to worship by his Edict of Fontainebleau, often called the revocation of the Edict of Nantes. Many Huguenots--who constituted an industrious segment of French society--left the country, taking with them considerable capital as well as skills. In addition Louis's display of religious intolerance helped unite the Protestant powers of Europe against the Sun King. In September 1688, Louis sent French troops into the Palatinate, hoping to disrupt his enemies who had formed the League of Augsburg against him. The 9-year war of the Grand Alliance ensued. France barely held its own against the United Provinces and England, both under William III, as well as Austria, Spain, and minor powers; but the Treaty of Rijswijk (1697) preserved Strasbourg and Louis's "reunion" acquisitions along the Franco-German border. The aging ruler was almost immediately drawn into the disastrous War of the Spanish Succession (1701-14), in which he defended his grandson Philip V's inheritance of Spain and its empire on the death of Charles II. The genius of the English general the duke of Marlborough and his Austrian counterpart, Eugene of Savoy, was almost too much for the ducs de Villars, Berwick, and Vendome, who were Louis's principal generals. The terrible French winter of 1709 and near fiscal collapse also took their toll. Nonetheless, France rallied. By the Peace of Utrecht France retained most of its earlier conquests, and the Spanish empire was divided between Philip V, who received Spain and its overseas colonies, and Holy Roman Emperor Charles VI, who acquired the Spanish Netherlands and Spain's Italian possessions. Louis was forced to agree that the crowns of France and Spain would remain separate despite the dynastic connection. During the post-1685 period the once personal monarchy became increasingly bureaucratized. A long and bitter quarrel (1673-93) with the pope was concluded when the king withdrew the French clergy's Four Gallican Articles of 1682, in which they had claimed quasi-independence from the papacy for the French church (see Gallicanism). Reconciliation with the papacy aided Louis's attempt to suppress Jansenism. The Jansenist convents of Port-Royal were closed (1709-10), and in 1713 the pope issued, at Louis's request, the anti-Jansenist bull Unigenitus. After a series of celebrated liaisons with mistresses, notably Louise de la Valliere and Madame de Montespan, Louis settled down to a more sedate life with Madame de Maintenon, whom he secretly married about 1683. She shared with Louis the grief of lost battles and the successive deaths of all but two of his direct descendants. The two who survived him were his grandson Philip V of Spain and a great-grandson who became Louis XV when the Sun King died on Sept. 1, 1715.
the image of Louis XIV in the menu is taken from PC-Game "Versailles II" created by Cryo Interactive Entertainment. See the description of that game under "Software" for more information.